It was November 18, 1996, I can remember the day like it was yesterday. I had just harvested my entire crop of hot peppers. Grown with great care. I think I picked about 75 peppers. I had one thing on my mind: to make some hot sauce. I just copied that from a document I wrote back then. So now we know the total harvest that year was 68 peppers. Quite the bumper crop if you ask me!! Directions: Chop the ends off the peppers and clean out the inside taking out all the seeds. Place tomato paste into blender with some peppers then add BBQ sauce and some water as needed, blend. 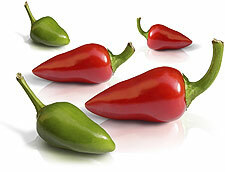 Place some more peppers into blender with water and blend till all peppers are a nice smooth liquid. Place your hot sauce into a glass jar and put the honey in, add as much as you prefer. Stir sauce. Place in refrigerator for 3 weeks. Place in another 3 weeks then serve. Stir occasionally as needed. Frankly at this point it only gets better. After cutting the peppers up I threw them into the blender. Finally the peppers are done and we have a nice pesto pace of hot pepper juice. I can’t begin to tell you how impossible it was to breathe. I couldn’t. My throat closed tight because of the fumes. I ran towards the door barely making it outside. That’s some seriously thick stuff! In the end I think I came away with a half dozen bottles of hot sauce. I even made lables and gave a few bottles away. Nope, I used it as ant killer in the backyard. that’s hilarious! lol. you could make your own kind of mace. sell it to the cops. bootlegged mace, get it while it’s hot! the cops flock to you from all direction, next thing you know, you’ve got power, prestige, fame. you can park in the red zone with confidence. the badge backs you, masked avenger!! That’s a great image. Looks beautiful with this site template. You should integrate it with a header image somehow – peppers make you think, right? Yikes…my mouths burning just reading this post! I’m a huge fan of recipe trading and building so this post is a treat! It’s a weapon of mass destruction! Haha great recipe, sounds like fun to make it. Thats a lot of peppers.